As endurance athletes, you depend on your muscle mass to train for longdistance events. Since muscle is primarily made up of protein, it's understandable that athletes often question whether they're consuming enough protein, the right kinds of protein, and at the right time. And in fact, athletes do have greater needs for protein to meet the demands of endurance exercise, and timing of intake is important. Before traveling to the local nutritional supplement supplier for a protein supplement, first estimate current protein intake. Since many people, especially males, already eat 100 to 130 grams of protein daily (about two times the RDA) only small if any dietary adjustments may be needed. Furthermore, endurance athletes tend to eat more energy than more sedentary people, so more protein is probably, but not definitely, included. This is because many endurance athletes, especially runners, may eat more plant-based foods including pastas, breads, rice, etc. Thus, even though they may be eating more energy, more of it is coming from carbohydrate-rich sources. Endurance athletes should assess their diet prior to spending their money. Depending on the duration of exercise, amino acids may be counted on to generate as much as 6 to 10 percent of the fuel with the remainder split between fat and carbohydrate. The use of amino acids for energy is mostly a consideration for higher-level endurance athletes. This would include people who train seriously several times a week for extended periods such as a couple of hours. This is one reason why marathoners often look very lean but not as muscular as sprinters or milers, for example. One of the most significant reasons that more and more amino acids are used for energy is because cortisol levels in the blood are increased as the higher intensity activity is endured. Cortisol can cause the breakdown of muscle protein and the freed amino acids can be used for energy. Some amino acids will be used directly by muscle to make ATP, while others will circulate to the liver and be converted to glucose. Almost every endurance and ultraendurance athlete we know has complained about GI distress. Whether you are running a marathon or ultra, a triathlon or adventure race, GI problems are among the most common reasons why endurance athletes drop out of races or have subpar performances. Having to make repeat Porta Potty stops can turn any type of challenging endurance event into a death march. We do know that training results in changes in muscle metabolism, which may make us think that it is possible for Type I fibers to change into Type II fibers and vice versa. However, this probably is not the case. For instance, endurance training can lead to changes associated with Type II muscle fibers that will make them more aerobic. The fibers will adapt to have an increased ability to generate ATP by using oxygen. However, they don't adapt to the point where we would classify them as Type I. Oppositely, we all know that resistance training (for example, weight lifting) improves the strength and power of a muscle group. Although it would be logical to think that half of this effect might be related to adaptations in Type I muscle fibers as though they are being transformed into Type II muscle fibers surprisingly this is not the case either. In fact, as the muscle group grows in size, most of the growth is related to enlargement (hypertrophy) of Type II fibers.
. . . if heavy training causes sports anemia Perhaps, in the early stages of training. However, sports anemia isn't really anemia. 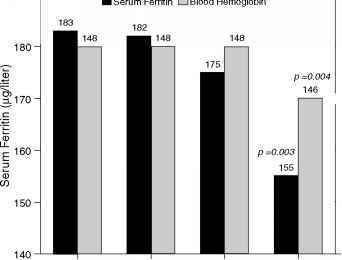 Because blood volume increases in the early weeks of endurance training, iron concentration in blood dilutes slightly as your body adapts to more physical activity. If you develop sports anemia, that's normal. It will disappear once your training program is off and running. With endurance training your blood's capacity to carry oxygen and your athletic performance will improve. Taking iron supplements isn't helpful or advised. The effects of disordered eating on an athlete's performance vary, but largely depend on the severity and chronicity of the disordered eating behaviors and the physiologic demands of the sport 18 . An athlete who engages in severe energy restriction or who has been bingeing and purging for a long time is likely to experience a greater decrease in performance than one who has engaged in milder weight control behaviors for a shorter time. Likewise, athletes involved in endurance sports and other physical activities with high energy demands (eg, distance running, swimming, cycling, basketball, field hockey, and ice hockey) are likely to be more negatively affected than athletes involved in sports with lower energy demands (eg, diving, gymnastics, weightlifting). The potential consequences of disordered eating on health and performance are presented in Table 3. Unlike glycogen, fat needs oxygen for energy metabolism. That's why endurance sports, fueled in part by fat, are called aerobic activities. Aerobic means with oxygen, and aerobic activities require a continuous intake of oxygen. The more you train, the more easily you breathe during longer activity the oxygen you take in helps convert fat to energy. percent of your total calories from fat is a good guideline. Most of your food energy should come from carbohydrates. With a high-fat diet your carbohydrate or protein intake may come up short. Less than 15 percent of calories from fat doesn't provide enough calories or enough fat for other health roles, especially for those involved in endurance sports. Getting enough essential fatty acids is also important for health and peak performance. The amount of CHO ingested is important for its contribution to energy expenditure and sparing of liver glycogen. However, the oxidation of exogenous CHO does not exceed 1.0-1.1 g min, even when much greater quantities are ingested. This observation suggests that the maximum CHO intake during exercise should not exceed 60 g h. Nowadays, CHO electrolyte drinks and energy bars, which are promoted to give rapid provision of CHO and fluid, are the most common food supplements in endurance sports. 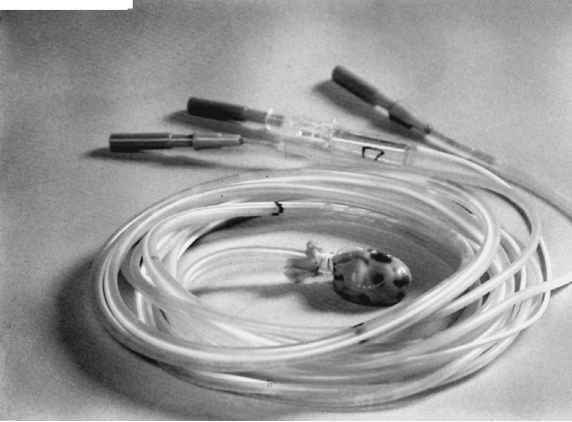 Untrained individuals may benefit as much from the CHO fluid supply as trained athletes. As for protein, a diet providing about 15 to 18 energy from protein should be more than adequate. Such a diet supplies 100 to 150 g of protein, depending on the total caloric intake. With 35 of the total energy being derived from fat and 15 or so from protein, the remainder of energy, or 50 of calories, would be provided by carbohydrates, both starches and sugars. No recommendation is made for alcohol, which may provide from 1 to 3 of total calories in the general population. The actual energy distributions may vary quite a bit for competitive athletes in endurance sports, who typically have higher intakes of carbohydrates (60 or more) and protein (20 or higher). In this scenario, fat intake would be approximately 20 or so. A principal factor associated with exhaustion during endurance exercise is the availability of carbohydrates to working muscle. Quite simply, when muscle glycogen stores are depleted, muscle exhaustion ensues shortly thereafter. The depletion of muscle glycogen along with dehydration are the most significant contributors to exhaustion or what endurance athletes call hitting the wall or bonking. From this it is easy to see why sport drinks such as PowerAde , Gatorade , and Accelerade are so popular. Electrolyte imbalances may also lead to fatigue, but this might occur only during very long efforts in which only water is provided. Today, with the popularity of sport drinks and endurance foods the risk of an electrolyte imbalance is often reduced. Amino acids can be used for ATP production in several ways. By consuming a lot of protein, excessive amino acids will be broken down in the liver mainly. Once the nitrogen is removed from the amino acids, the remaining molecule can be converted to molecules in the energy pathways such as pyruvate, acetyl CoA, or those that are part of the Krebs' cycle. This makes the generation of energy from amino acids aerobic. Meanwhile, during fasting and endurance exercise some amino acids can be converted to glucose in the liver. And, some amino acids can be used during fasting to produce ketone bodies. Both the glucose and ketone bodies produced via amino acids will be used by other tissue such as the brain and muscle. 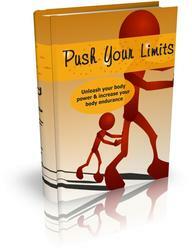 One of the principal factors involved in the onset of exhaustion or fatigue is a depletion of muscle glycogen stores. The carbohydrate in sport drinks becomes an available source of glucose to working muscle. It was once thought that the carbohydrate in a sport drink might slow the rate of glycogen breakdown and thus prolong endurance exercise. However, research has shown that the carbohydrate in a sport drink actually becomes an increasingly more important carbohydrate source for working muscle as glycogen stores wane. This contribution seems to be significant enough to push back the onset of fatigue. This could be the difference in finishing strongly during a marathon or fatiguing in the last couple of miles. In contrast to endurance exercise, resistance exercise results in muscle hypertrophy98,166 rather than an increase in amino acid oxidation and mitochondrial biogenesis.40,56 If, for example, there are no changes in efficiency of amino acid retention, there must, at some point, be a protein intake in excess of basal requirements to provide the amino acids required for anabolism. The extent of this increased need is again a function of the basal state of training, the duration, and the intensity of the training program. Carnitine supplementation has been postulated to influence performance by increasing the delivery of FAs into the mitochondria to prolong endurance exercise as well as delay fatigue by sparing muscle glycogen. Improving performance is a central theme in nutrition and sport and provides a basis for the implementation of a supplement to an individual's diet. It is therefore pertinent to examine the effects of supplementation on performance to validate the efficacy of an ergogenic aid. Currently, the micronutrient requirements of people engaged in endurance activities are not well-defined. Because of the nature of your training, your daily overall needs may be 1.5 to 3 times greater than those of the average man. If you eat a healthy diet, your daily vitamin and mineral needs should be met from a variety of different foods (See Appendixes 5 and 6 for information on food sources of various vitamins and minerals). Because endurance exercise may increase your need for antioxidants, it is recommended that each day you should eat several foods rich in antioxidants (vitamin C, vitamin E and beta carotene), as shown in the table on the next page. Of the amino acids discussed, three of them are termed branched-chain based on their structure. They are leucine, isoleucine, and valine. They are special because they can be used as an energy source for the muscles when needed. The use of these amino acids may come into play late in endurance exercise when glycogen stores are running low. About 25 percent of the protein in whole food sources is made up of these branched-chain amino acids. Despite their presence in food, supplement enthusiasts have investigated their role as an ergogenic aid. There are also reports of decreased plasma glutamine concentrations after endurance exercise (Parry-Billings et al., 1992b Rohde et al., 1996b Castell et al., 1997) and athletic training (Keast et al., 1995 Hack et al., 1997) and in the overtrained athlete (Parry-Billings et al., 1992b). While this was once thought to be true, more recent research suggests that endurance athletes, such as marathoners and triathletes, have a few hours or even days after their events where their RMR is elevated but for most athletes, the increase in RMR post-exercise is not enough to get excited about. One of the more extensive reviews of the effects of exercise on lipids and lipoproteins was conducted by Durstine and Haskell.36 First, in analyzing several cross-sectional studies comparing inactive controls to either endurance athletes, runners, crosscountry skiers, tennis players, or individuals with longer treadmill test times, they concluded that generally active individuals have lower triglyceride concentrations. With regard to exercise-training studies, they reported that training also generally reduced the triglyceride levels if the baselines were elevated. They also found that the degree of reduction in triglycerides was related to both the baseline amount of triglyceride elevation and to the volume of exercise training, but that in women, these findings were not as consistent. Driven by primarily by cortisol as well as epinephrine, both of which are elevated in circulation during exercise. Cortisol promotes muscle protein breakdown during the exercise while epinephrine promotes the conversion of amino acids to glucose in the liver. Since cortisol is a stress-related hormone, the degree to which this happen depends on how hard you exercising and for how long. Thus for shorter, less intense exercise sessions (for example, walking and casual bicycling) this isn't a consideration however for recreational and competitive endurance athletes and heavyweight trainers it is. We will explore this further in Chapter 11. Because sweating is such an important means of removing heat, distance runners and other endurance athletes become better sweaters. This means that their sweat glands and tubes have adapted during the athlete's training to produce larger volumes of sweat but containing less sodium and chloride. This helps keep them from overheating but at the same time it keeps them from losing excessive amounts of the key electrolytes in sweat. A well trained endurance athlete may sweat 2 to 3 liters per hour of exercise. That's more than 8 to 12 cups. Alternatively, glycerol supplementation in conjunction with water consumption may be of benefit to endurance athletes preparing to perform in warmer environments. It is proposed that glycerol can enhance water retention prior to an event and thus may allow more sweat to be lost prior to any reductions in performance due to dehydration. Scientists have also reported that glycerol supplementation prior to an event increases heat tolerance during competition in warmer environments. This could potentially aid athletes training or competing in warmer environments without ample opportunity to drink fluids. One example of this type of competition is soccer. However, glycerol may lead to digestive tract discomfort so athletes will have to experiment here as well. 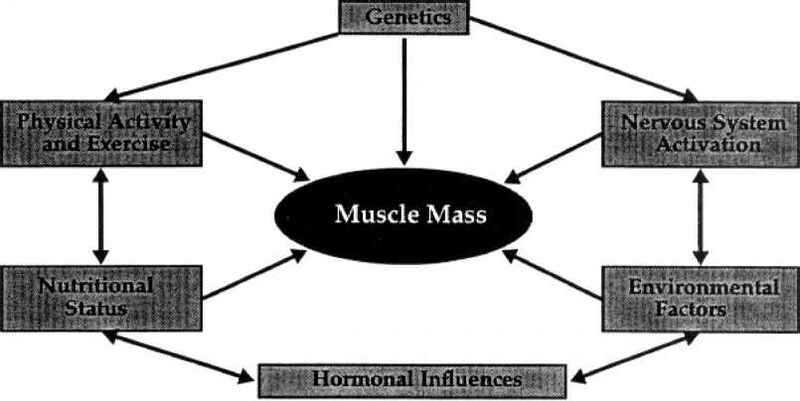 Exercise, muscle enlargement (hypertrophy) is much less pronounced, if at all. However, muscle will adapt in another amazing way. Here the adaptation allows the trained muscle to have greater endurance by increasing its aerobic ATP generative capacity. In doing so there is an increase in the number of mitochondria in the trained muscle cells. Furthermore, the trained muscle develops more capillaries to deliver blood. The increase in the number of capillaries provides more oxygen and energy nutrients during exercise. The heart grows a little as well to provide a more powerful stroke and greater cardiac output (blood delivery) to working muscles. A greater heart stroke is often reflected by a slower heart rate when not exercising. Some top endurance athletes have resting heart rates as low as 40 to 45 beats per minute whereas inactive people tend to have heart rates between 60 and 75 beats per minute. For a well nourished and hydrated weight-training athlete, there is probably no need for a sport drink unless he or she is training for longer periods and sweating profusely. The need for sport drinks for endurance athletes largely depends on the duration of exercise and the environmental conditions. Generally, for single shorter events such as 5-kilometer runs and half-hour aerobic sessions there isn't a need. However, as an event or training session becomes longer, the need increases. For bouts lasting an hour or more, water replacement is certainly necessary and performance can be enhanced by a sport drink. Much of the sports nutrition research that was originally conducted was on endurance athletes such as marathon runners and cyclists. This is largely because endurance athletes are more likely to become carbohydrate-depleted than athletes in stop-and-go, power-oriented sports, and because endurance athletes need strategies in place to combat the environmental conditions they must compete in for hours on end. Research reported in Sports Medicine and other scientific journals shows that female athletes are at greater risk of running a carbohydrate deficit than their male counterparts. A recent review of the literature shows that women are more likely to chronically or at least periodically restrict carbohydrates to achieve low body fat levels. This is particularly true for female endurance athletes and women competing in sports that place particular emphasis on a lean frame, such as figure skating or gymnastics. What should you drink during exercise The recommended fluid replacer contains a little sodium to stimulate thirst, a little potassium to help replace sweat losses, and a little carbohydrate (sugar) to provide energy. More precisely, the drink should contain 110 to 170 milligrams of sodium per 8 ounces (20 to 30 milliequivalents (mEq) sodium L) 20 to 50 milligrams of potassium per 8 ounces (2 to 5 mEq potassium L) and about 12 to 24 grams of carbohydrate per 8 ounces (in a 5 to 10 percent sugar solution, for 50 to 95 calories) (ACSM 2007). You can consume these nutrients via standard foods such as pretzels and bananas as well as engineered foods (see chapter 11), which can be more convenient for runners, triathletes, and other endurance athletes. A high carbohydrate diet allows the body to replenish glycogen stores in-between training sessions. Contrary to what many people think, it actually takes a while to rebuild muscle glycogen stores that have been used during exercise. In fact, if an endurance athlete reduces his or her muscle glycogen to nadir levels during training or competition it can take an entire day to rebuild them. This means that the athlete should eat carbohydrates immediately after completing a training session and throughout that day to provide the needed glucose to rebuild those stores. As discussed in the chapters on minerals and trace elements (Chapters 6 and 7), individuals at potential risk of marginal micronutrient supply are those who consume low caloric diets for prolonged periods of time. A relatively low supply of vitamins may also occur when large amounts of processed foods constitute the major part of the daily diet. This has been observed to be the case in endurance athletes who ingest relatively large amounts of refined CHO as energy drinks during their sports events (23, 58, 165). The reason for this has been discussed in Chapter 2. In both situations the required micronutrient density (i.e. the amount of vitamins present per 1000 kcal energy intake) is higher than can be achieved in the diet. In these situations athletes may be advised to take a daily vitamin-mineral-trace element supplement (not more than 1-2 times RDA daily) to enhance micronutrient density and secure an appropriate intake. What if we eat too little protein Few Americans are at risk of eating too little protein. However, individuals on severely restricted diets, those who are unable to eat, and those whose needs are increased because of illness or trauma may experience protein deficiency. To replenish the pools of essential amino acids that have been depleted, in order to make critical proteins such as enzymes and hormones, the body of a protein-deficient person begins to rob protein from muscle by digesting that protein to its constituent amino acids. Because muscle is needed for various vital functions (for example, diaphragm muscles for breathing and heart muscles for pumping our blood), the loss of large amounts of muscle protein can be fatal. Fortunately, the vast majority of people, even those who engage in regular, rigorous endurance exercise, can easily meet their need for protein by eating a balanced diet based on the Food Guide Pyramid. Caffeine is a popular preexercise energizer and is known to help athletes train harder and longer. Caffeine stimulates the brain and contributes to clearer thinking and greater concentration. There are many good studies on the use of caffeine for both endurance exercise, such as long runs and bike rides, and short-term, higher-intensity exercise, such as soccer. The vast majority of the studies conclude that caffeine does indeed enhance performance (by about 11 percent) and makes the effort seem easier (by about 6 percent). Endurance athletes notice more benefits than those who do shorter bouts of exercise (Doherty and Smith 2005). Rehydration solutions for athletes are generally designed to replace fluid and minerals lost by sweating and also limited amounts of energy in the form of CHO. All three substances are either lost or used during endurance exercise. Higher exercise intensities require a higher degree of energy production for which CHO as energy source is most suitable. Accordingly, with higher exercise intensities, more metabolic heat will be produced. Consequently sweat rate will be increased, as will the excretion of electrolytes. The longer the exercise lasts, the larger the amount of fluid, electrolytes and CHO needed to replace the losses. Following are some examples of BMI scores for athletes from various sports. As you can see, athletes come in all sizes and shapes. However, despite wide differences in height and weight, virtually all the athletes fall between 18 and 25, which is considered normal or healthy. You will find endurance athletes at the lower end of normal and ball sport athletes at the higher end. Use this as a guide when evaluating your BMI and your body. Strength training should complement endurance training workouts. The specific benefits of strength training include Because strength training makes you stronger, it will also reduce your risk for injuries that typically accompany endurance training. Finally, strength training can make you faster at tasks that require quick, short bursts of activity (such as a running from a boat to land). Some studies have found mild improvements in endurance athletes given glycerol (Wagner, D.R., 1999 Montner, P., et al., 1996.) but studies have been mixed with some finding no effect. As with all science, there isn't a unanimous consensus on glycerol's effects. Some sports nutrition companies sell glycerol to bodybuilders as a plasma expander as glycerol can pull fluids into the vascular system temporarily and may enhance the pump you feel in the gym or when stepping on stage. Ever heard the saying use it or lose it This is true for physical fitness. 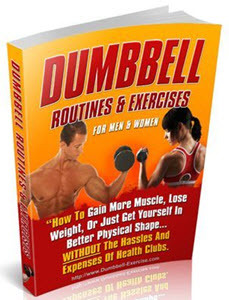 Whether it is muscle strength or aerobic endurance, if you do not remain physically active as you age you cannot maintain the muscle mass or heart adaptations you need for peak performance (review the effects of detraining listed in Chapter 4). Though aging can lead to decreases in fitness levels, the amount of decline can be offset by a regular exercise routine. Therefore, age itself does not predispose you to have large decrements in physical performance. I commonly hear marathoners, triathletes, and other highly competitive endurance athletes complain, For all the exercise I do, I should be pencil thin. They fail to lose fat because they put all of their energy into exercising then tend to be sedentary the rest of the day as they recover from their tough workouts. A study of male endurance athletes who reported a seemingly low calorie intake found they did less spontaneous activity than their peers in the nonexercise parts of their day (Thompson et al. 1995). You need to eat according to your whole day's activity level, not according to how hard you trained that day. 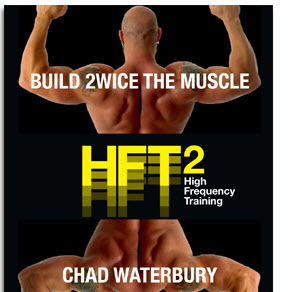 A second group that would benefit from HMB supplementation is the fitness enthusiast or casual athlete who frequently changes his training routine through periods of low to moderate to high activity and often participates in strenuous single bouts of competitive activity, such as road races, softball games, golf tournaments, etc. Supplementation of 3 g of HMB day should improve the gains experienced from either resistance or endurance training as well as help minimize the muscle damage that occurs during those single bouts of strenuous activity. Furthermore, HMB supplementation also provides an additive health benefit to exercise. Besides calisthenics, strength exercises with light-weight, portable equipment, such as elastic tubing, dumbbells or a ball, can be performed in small spaces. Examples of these exercises are shown in Table 10-1. 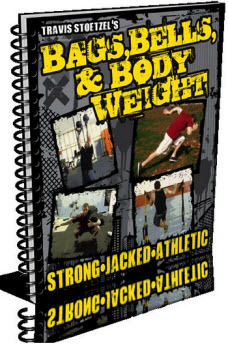 Regardless of the equipment used, the general principles and techniques outlined in Chapter 7 for muscle strength and endurance training apply. Follow the set and rep recommendations outlined in Chapter 8 for calisthenic exercises, starting with one set of eight reps. 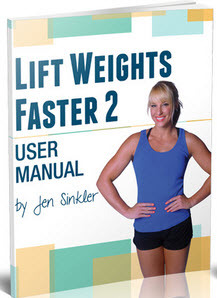 Include exercises for each of the major muscle groups mentioned in Chapter 7, Figure 7-2. Vitamin E supplementation and endurance exercise are there benefits Sports Medicine 29 2 (2000), p. 73-83. Rokitzki, L and E. Logemann, et al. Alpha-Tocopherol supplementation in racing cyclists during extreme endurance training, Int. Jour. Sport Nutr. 4 3 (1994), p. 253-64. Protein is essential to build and repair muscle tissue. 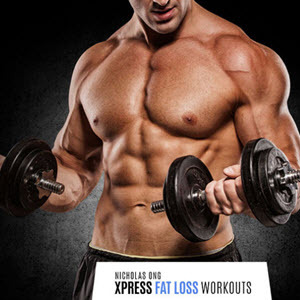 Protein allows muscles to contract, gain in size, and increase in strength. Loading up on protein does not guarantee larger muscles. Protein in excess of the body's needs is stored as fat, not protein. Muscle growth comes from hard work, proper training, and balanced nutrition. Food sources of protein include lean meat and poultry (fish and chicken), fish, legumes (dried beans and peas), nuts, seeds, and dairy products. Protein needs for active athletes, especially endurance sports, are higher than for non-athletes. The maximum recommended amounts of protein is 1.2 to 1.4 g kg of body weight. This requirement can be met through diet alone. There are other things that take place both inside and outside the muscle that add to fatigue, but that's for another place and time as the explanation would be bor--- , overly detailed. Interestingly, it has been found that athletes increase their rate of calcium loss in sweat from prolonged endurance sports, and increase their loss in urine after intense weight training. Fact Although a lean, muscular body may enhance health and athletic performance, you can be too lean. Among its many functions, fat cushions body organs, providing protection from injury. During endurance sports (running, cycling, swimming), both carbohydrate and fat provide energy for working muscles. If you're too lean, you may tire too quickly. And restricting energy intake too much to avoid body fat may create a nutrient deficiency. By using higher-sodium sports drinks and gels, you should be able to keep your sodium levels adequate during endurance and ultraendurace training and racing. Most athletes strive for 500 mg to 1,000 mg (1 g) sodium per hour. You can easily accomplish this with, for example, two PowerBar Gels (200 mg of sodium per packet) and 16 ounces of PowerBar Endurance sport drink (380 mg of sodium) totaling 780 mg of sodium as well as 96 g of carbohydrates. Eto et al. investigated highly trained cyclists ages 18 to 22 ingesting 20 g of glutamate-ARG (AG) salt per day and found that although AG had no effect on resting plasma levels of hGH, the AG subjects had marked reduction in cortisol and hGH compared to the placebo group during and after exercise. Those results suggest that AG may modify energy metabolism during endurance exercise. While carbs and protein are certainly dietary priorities for athletes, don't forgo healthy fats during recovery. Your muscles contain lipid droplets or small deposits of fat called intramyocellular lipids or IMCL. Scientists theorize that these muscle lipids may be important sources of muscle fuel early in exercise, which may help spare muscle glycogen stores for later. These muscle lipids get depleted during endurance exercise, and many endurance athletes eat very-low-fat diets in their quest to consume enough carbs, causing them to fall short of meeting their daily needs for lipid reloading during recovery.